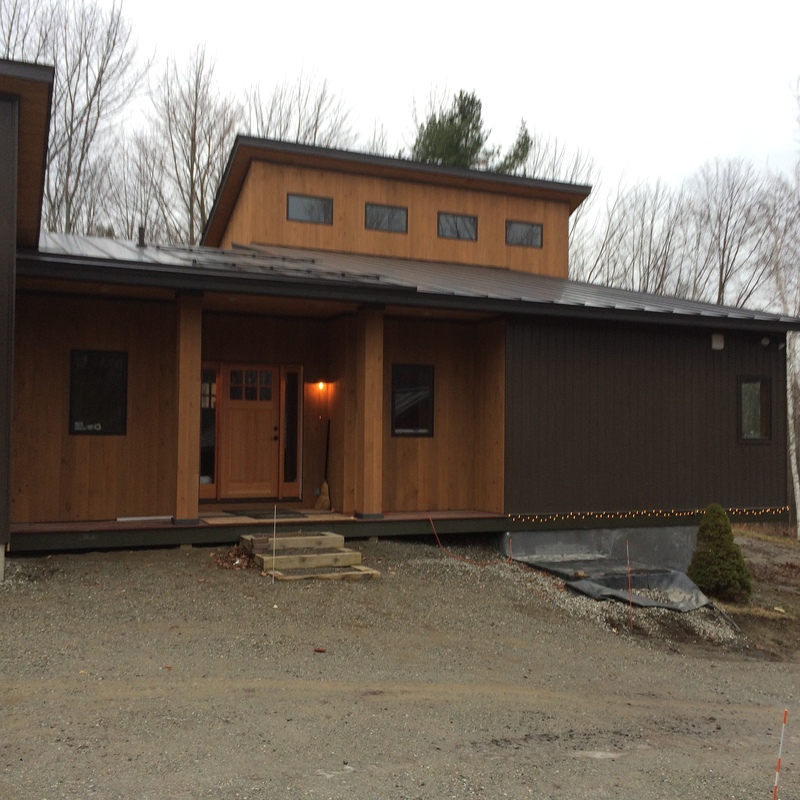 Here is a Contemporary style home that was built by Home Tech Enterprises in 2015. 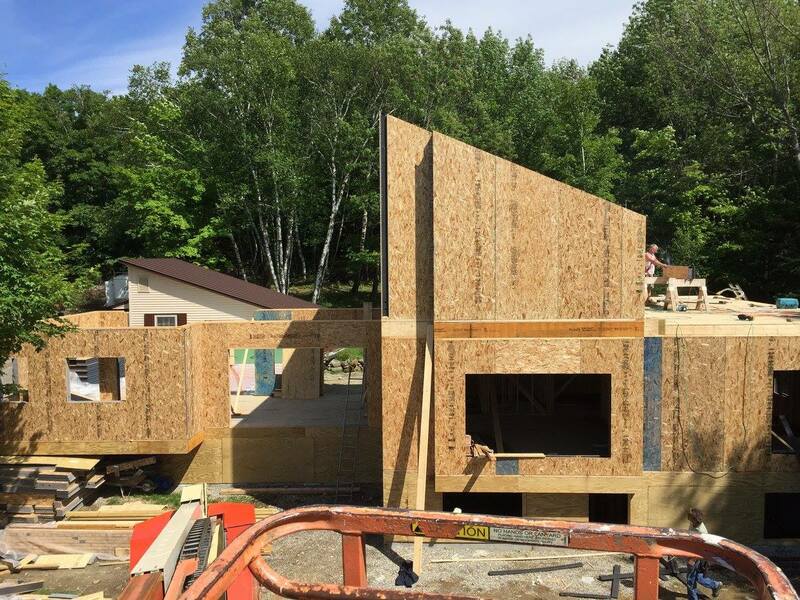 This project used our 6-1/2″ R28 Neopor wall SIPs. 12-1/4″ R56 roof SIPs were used on the shed roof. The other roof sections were framed with conventional trusses that sat on wall SIPs. Contact us for a free estimate for your project!